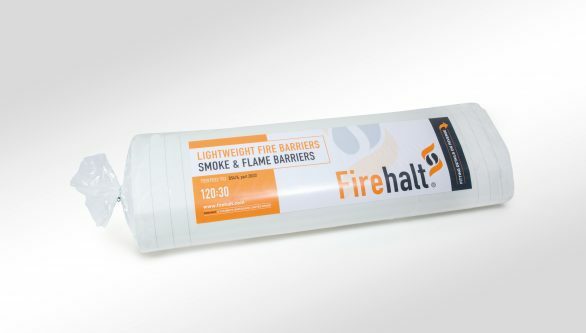 Firehalt 120:60 is our highest specification barrier, offering 120 minutes integrity and 60 minutes insulation to BS476 p22. 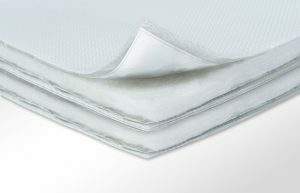 The product is manufactured using specially woven and treated glass fibre fabrics, with a patented proprietary laminated insulation layer. It uses a unique operation method and installation detail that requires no specialist tools or fittings. The product and installation detail have full BRE/LPCB certification to 60 minutes insulation and 120 mins integrity, including a detail for service penetration management. Firehalt cavity fire barrier products are manufactured in the UK using a unique multi-layer construction. 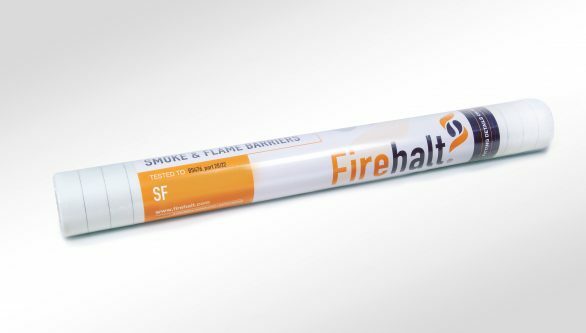 Our 120/60 high performance fire barrier is easy to fit and comes with fully illustrated fitting instructions in every pack. See our Stockists page to find your nearest Firehalt supplier. Firehalt Ultralite 60 is another product in a new family of ultra-light….